location and club used. No manual interaction from the golfer is required. Improve your golf with tour-level statistics. Every shot is mapped onto an aerial map of the course with analytics being available on iOS, Android and the web dashboard. Record and beat your personal records! 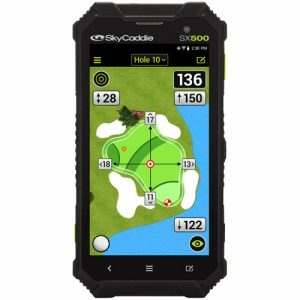 Features SMART GPSthe highest available commercial grade GPS for increased accuracy. Use insights from your performance data and on-course GPS to know which club to hit for the best results from anywhere on the golf course. F/M/B distances to improve accuracy and shot selection. Get unrivalled insights into your game through the Shot Scope dashboard. Industry leaders in putting statistics, Shot Scope use a combination of PinCollect technology, detailed course mapping data and fully-automated club recognition with ClubSenseTM to make sure your stats are accurate. SMART GPS: Highest available commercial grade GPS for increased accuracy. TRACK EVERY SHOT PLAYED: Automated performance tracking via screw in sensors placed in the top of each grip. 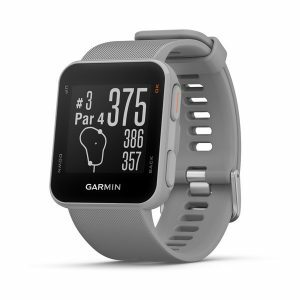 NO INTERACTION NEEDED: When the golfer hits a shot, the watch automatically detects their GPS location and club used. No manual interaction from the golfer is required. NO SUBSCRIPTIONS: Every course in the world available. PERFORMANCE DASHBOARD: Get unrivalled insights into your game through the Shot Scope dashboard. the golfer to understand and improve their golf game.